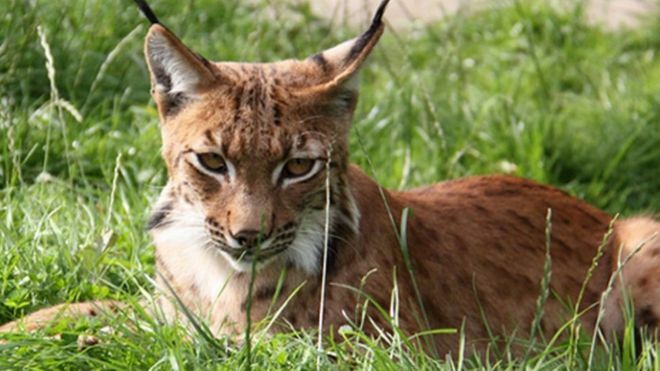 Police have launched an air and ground search for a lynx wild cat which has escaped from a zoo. Officers have warned people not to approach the animal which escaped from Dartmoor Zoo in Devon by digging itself out of its enclosure. Children at one school have have been warned to stay inside after police said the Carpathian Lynx could be dangerous if cornered. It is the size of a large domestic cat and grey and silver in colour. The zoo took delivery of the animal on Wednesday but on Thursday morning they discovered it had escaped. No trace of it has been found in the zoo. As regular readers will know, I am a reasonably avid reader of the music press, although not as much so as I was forty years ago when I would buy the New Musical Express, Melody Maker, Sounds and whatever else was around each Thursday. I don’t know whether you have noticed this, but it seems to be canon in the current music press, especially those parts of it which deal with nostalgically looking back at the music of times gone by, to say what a grim time the 1970s were. How it was a teenage wasteland where there were no smartphones, only three TV channels and—shock, gasp—none of them broadcast during the daytime or after eleven at night. How did people live in such primitive conditions? they ask. Well that’s not how I remember it at all. I remember a time when the little streams that still flow around the village where I lived then (and still live now) were clean and full of fish instead of silted up and muddy. I remember a time when one could see a dozen species of butterfly in my garden instead of two or three (on a very good day). And I remember a time when British Television was the best in the world and something that we could justly be proud of, rather than a parade of guttersnipe garbage aimed at the lowest common denominator in society. One of the two men who filmed the infamous Bluff Creek Bigfoot video has long regretted his involvement. ON THIS DAY IN - 1917 - Aleksandr Kerensky formed a provisional government in Russia. Acid attack: Can mussels hang on for much longer?